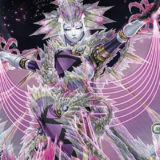 Over the past weeks, the price of Beast-Eyes Pendulum Dragon has been on a steady rise from a mere ¥500 to over ¥2200. 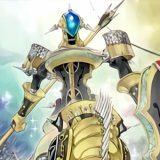 Spoilers of the upcoming set, Clash of Rebellions, revealed various Red-Eyes cards, enabling a new combo with Beast-Eyes Pendulum Dragon. Here is a look at the combo. Activate Scapegoat during your opponent’s End Phase, special summoning 4 Sheep Tokens. Normal summon Black Metal Dragon during your Main Phase 1. 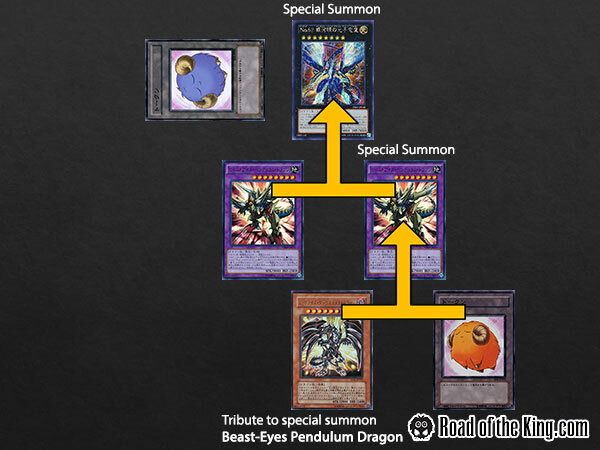 Special summon Beast-Eyes Pendulum Dragon, tributing Black Metal Dragon and a Sheep Token. Add Red-Eyes Darkness Metal Dragon from deck to hand through the effect of Black Metal Dragon. 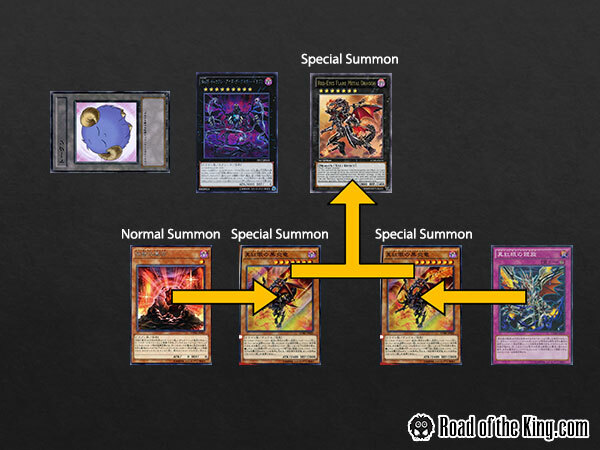 Special summon Red-Eyes Darkness Metal Dragon, banishing Beast-Eyes Pendulum Dragon. 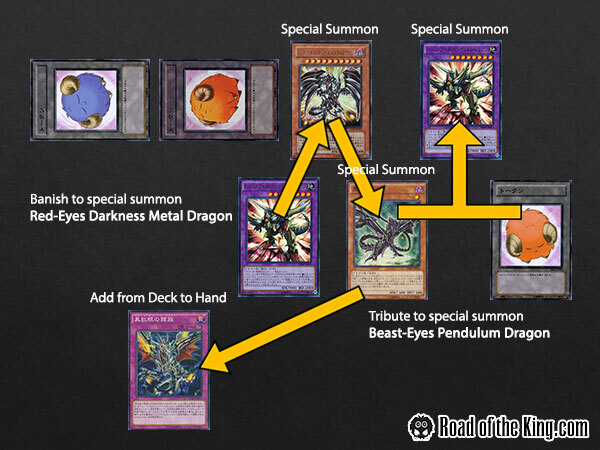 Activate the effect of Red-Eyes Darkness Metal Dragon to special summon Black Metal Dragon from the graveyard. 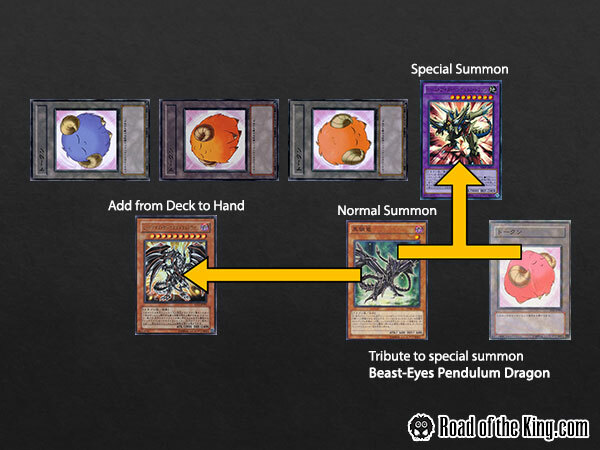 Add Return of Red-Eyes from deck to hand through the effect of Black Metal Dragon. 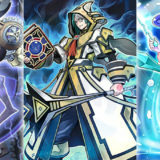 Special summon Beast-Eyes Pendulum Dragon, tributing Red-Eyes Darkness Metal Dragon and a Sheep Token. 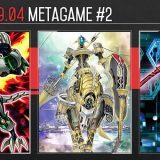 Xyz both Beast-Eyes Pendulum Dragons to special summon Number 62: Galaxy-Eyes Prime Photon Dragon. 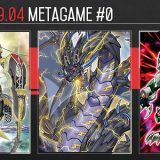 Xyz Number 62: Galaxy-Eyes Prime Photon Dragon to special summon Number 95: Galaxy-Eyes Dark Matter Dragon. 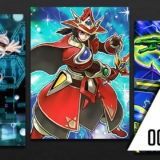 Trigger the effect of Number 95: Galaxy-Eyes Dark Matter Dragon, and send from the deck to the graveyard The Black Stone of Legend, Red-Eyes B. Dragon and Red-Eyes Black Flare Dragon. 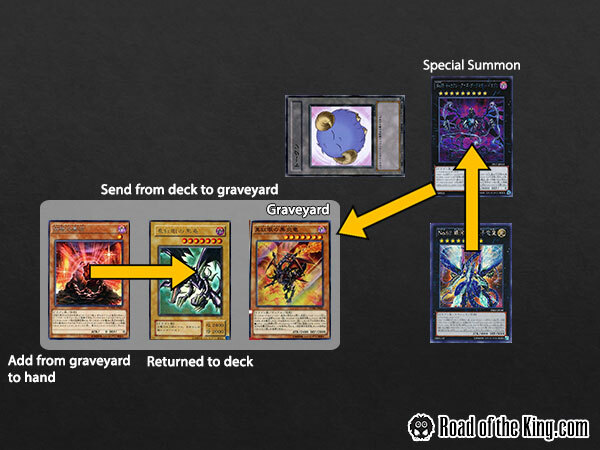 Activate the effect of The Black Stone of Legend, returning Red-Eyes B. Dragon to the deck as the cost, and add itself from the graveyard to your hand. 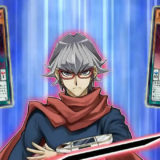 Set Return of Red-Eyes before ending your turn. On your next turn, normal summon The Black Stone of Legend. 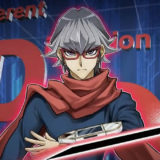 Activate the effect of The Black Stone of Legend, tributing itself as the cost, to special summon Red-Eyes Black Flare Dragon from the deck. 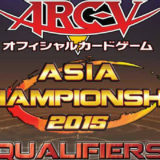 Activate Return of Red-Eyes to special summon Red-Eyes Black Flare Dragon from the graveyard. 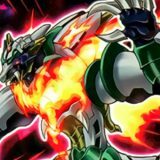 Xyz both Red-Eyes Black Flare Dragon to special summon Red-Eyes Flare Metal Dragon. 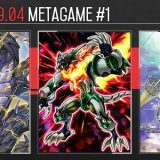 If Return of Red-Eyes was destroyed by your opponent, you can revive Red-Eyes Darkness Metal Dragon that was tributed to special summon Beast-Eyes Pendulum Dragon earlier on. 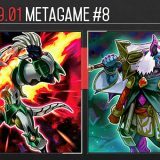 This two-card combo requires 3 turns to execute, but result in a Number 95: Galaxy-Eyes Dark Matter Dragon and a Red-Eyes Flare Metal Dragon (or any other Rank 7 Xyz monster). However the combo is based on spoiler text, and may be subjected to changes before the actual release. Until the actual release of Clash of Rebellions on the 25th April 2015, we can only hope for Red-Eyes Dark Matter to become a thing. 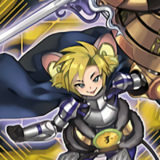 Extremely situational, as Scapegoat isn’t worth anything at all in the Deck. It’s garbage 9/10 times, and to top it off, this combo is slow. Yes, it’s cool but it’s not worth it. 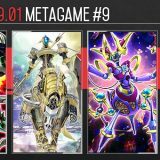 I agree that this deck is rather unlikely to be top tier competitive, especially considering that even Dark Matter Dragon Ruler’s performance was mediocre. Perhaps a Kinka-byo build would be much more consistent in bringing out Beast-Eyes Pendulum Dragon. Nonetheless I’m quite intrigued by what else Clash of Rebellions will bring us. Yeah, I’ve seen a couple builds teching Kinka to achieve the same instant Beast-Eyes method, but it can’t do the double Beast-Eyes into Dark Matter combo here. It looks inconsistent and kinda weird, but I’d try it out just to see if it’s at all workable. With Scapegoat at 3, it’s at least a chainable wall for a turn if nothing else.